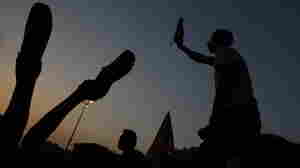 June 30, 2012  Before taking today's official oath, The Muslim Brotherhood's Mohammed Morsi appeared before thousands of supporters in Tahrir Square Friday to take a symbolic one. June 25, 2012  A day after results became official, Mohammed Morsi was all business, as he began explaining his vision. 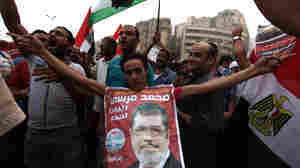 June 24, 2012  Millions of unemployed young people, a corrupt oligarchy, a massive underclass and religious tension are just a few of the problems Mohammed Morsi and the Muslim Brotherhood face. 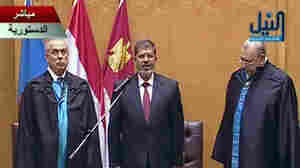 Also, the ruling military council has effectively stripped most of Morsi's powers and dissolved the Brotherhood-dominated Parliament. June 24, 2012  Egypt's electoral commission declared the results of the country's first free presidential elections on Sunday. 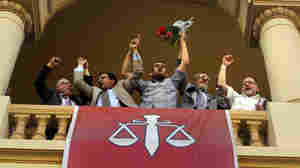 Crowds in Cairo's Tahrir Square erupted in cheers at the announcement. June 18, 2012  The generals who have effectively been running things since Hosni Mubarak's regime was toppled in early 2011 will be "around and in charge" for months, NPR's Soraya Sarhaddi Nelson reports. June 16, 2012  The choice reflects the deep divisions in the country that has been unsettled since its revolution last year. 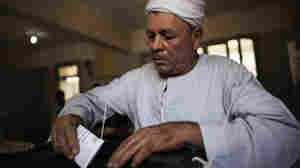 The voting began smoothly with long lines reported at some polling stations in Cairo. Some 50 million Egyptians are eligible to vote Saturday and Sunday. 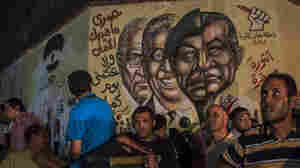 June 15, 2012  The youth groups that were so crucial to the overthrow of Mubarak feel "they may have lost the revolution," NPR's Soraya Sarhaddi Nelson reports from Cairo. 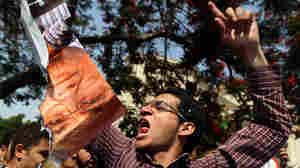 May 25, 2012  As officials count ballots from this week's first-ever free presidential election, the Muslim Brotherhood is claiming its candidate got the most votes and will be in a runoff next month against ousted President Hosni Mubarak's last prime minister. 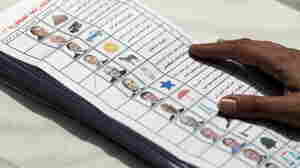 May 24, 2012  Egyptians are voting in their first free presidential election. 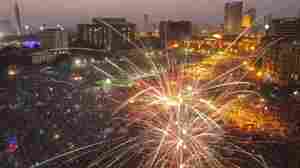 It was just over a year ago that the regime of President Hosni Mubarak was toppled. May 23, 2012  Voting has begun in the country's first free presidential election. 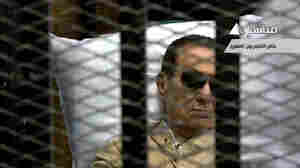 It was just a little more than a year ago that the regime of President Hosni Mubarak was toppled. 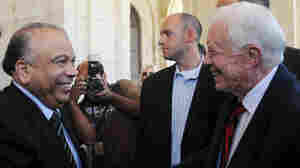 May 22, 2012  The former president is in Egypt to observe its first free presidential election, which begins on Wednesday.